Release the Memo! Oh, is that it? Okay so the memo got released today. My very well thought out and cleverly worded response is, um....seriously? The memo accuses former officials who approved the surveillance applications – a group that includes former FBI Director James B. Comey, his former deputy Andrew McCabe, former deputy attorney general Sally Yates and current Deputy Attorney General Rod J. Rosenstein — of signing off on court surveillance requests that omitted key facts about the political motivations of the person supplying some of the information, Christopher Steele, a former intelligence officer in Britain. The memo is not an intelligence document and reflects information the committee has gathered, which Democrats, the FBI and Justice Department have criticized as incomplete and misleading. However as Fusion GPS founder Glenn Simpson testified "sources said the dossier was taken so seriously because it corroborated reports the bureau had received from other sources, including one inside the Trump (campaign)." That suggests that the FISA court likely had other information available to help decide whether surveillance was necessary, that the memo has conveniently left out. Besides as the Wall Street Journal points out Carter Page was on the counterintelligence radar from as far back as 2013. “The Republican document mischaracterizes highly sensitive classified information that few Members of Congress have seen, and which Chairman Nunes himself chose not to review. It fails to provide vital context and information contained in DOJ’s FISA application and renewals, and ignores why and how the FBI initiated, and the Special Counsel has continued, its counterintelligence investigation into Russia’s election interference and links to the Trump campaign. The sole purpose of the Republican document is to circle the wagons around the White House and insulate the President. Tellingly, when asked whether the Republican staff who wrote the memo had coordinated its drafting with the White House, the Chairman refused to answer. “The premise of the Nunes memo is that the FBI and DOJ corruptly sought a FISA warrant on a former Trump campaign foreign policy adviser, Carter Page, and deliberately misled the court as part of a systematic abuse of the FISA process. As the Minority memo makes clear, none of this is true. 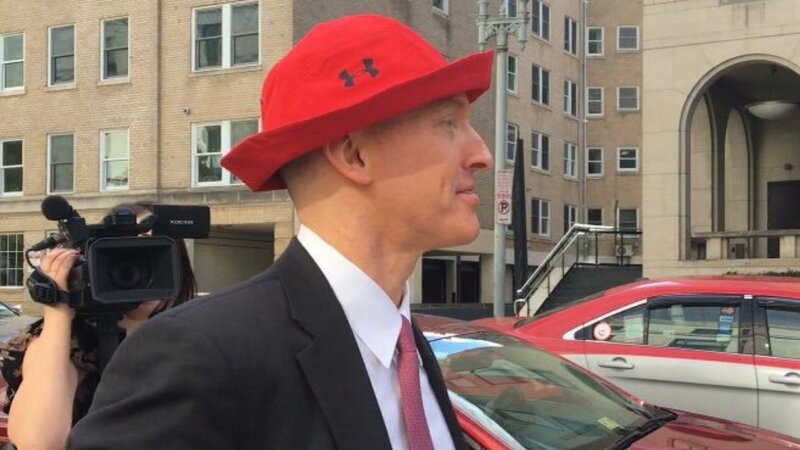 The FBI had good reason to be concerned about Carter Page and would have been derelict in its responsibility to protect the country had it not sought a FISA warrant. “In order to understand the context in which the FBI sought a FISA warrant for Carter Page, it is necessary to understand how the investigation began, what other information the FBI had about Russia’s efforts to interfere with our election, and what the FBI knew about Carter Page prior to making application to the court – including Carter Page’s previous interactions with Russian intelligence operatives. This is set out in the Democratic response which the GOP so far refuses to make public. “The authors of the GOP memo would like the country to believe that the investigation began with Christopher Steele and the dossier, and if they can just discredit Mr. Steele, they can make the whole investigation go away regardless of the Russians’ interference in our election or the role of the Trump campaign in that interference. This ignores the inconvenient fact that the investigation did not begin with, or arise from Christopher Steele or the dossier, and that the investigation would persist on the basis of wholly independent evidence had Christopher Steele never entered the picture. I mean at this point it is almost giving it too much credit to call this memo a "nothing burger." #NunesMemo concedes that #Steele had provided reliable intel in the past. Pretty much undercuts the whole argument about the #FISA warrants being corrupt. #Nothingburger. A year attacking the Steele dossier. A month hyping that the dossier started the whole FBI investigation. Weeks hyping that they have a memo (a memo!) that will finally prove it! So... is there some other memo? Because this one says it was Papadopoulos, not the dossier. There is literally so much fail here that I am not even sure that Fox News can make a mountain out of this pathetic little molehill. But we know they're gonna try.